Parents continue to struggle with the ever increasing costs of housing, energy, transportation, and food. In turn, family budgets are stretched thin, and parents often have less money available for gifts for the holidays. 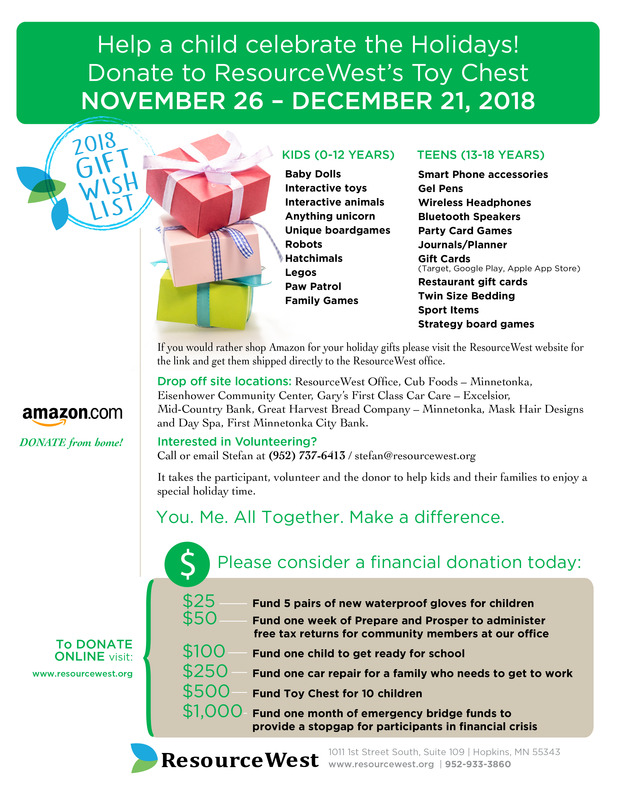 ResourceWest’s Toy Chest provides new gifts to over 1,200 children in our community. Families receive one large item, one smaller item, and a bonus bag for each child (newborn to 18 years). Thank You To Our Toy Chest Collection Sites!